My granddaughter and I made a mini travel adventure with Duplo about Egypt. Of course she wanted a mummy in it. I decided to make it into a mini video and a series was born. I created a Lego Dyplo adventure in London, England next. The two biggest problems were having enough Duplo for the large structures and convincing my granddaughter I had to take Buckingham Palace apart in order to build the next set. She wanted it to cover the dining room table forever. I added songs to this one and used PhotoShop to improve the pictures. Lost in London: Using legos (mostly duplo) Cassie visits several historic sites in London, England but can’t enjoy herself until she finds Polly. What has happened to her best friend? This video is a great jumping off point for kids to write an adventure about Polly, whose appearance might surprise you. Sprinkled with variations of Mother Goose. 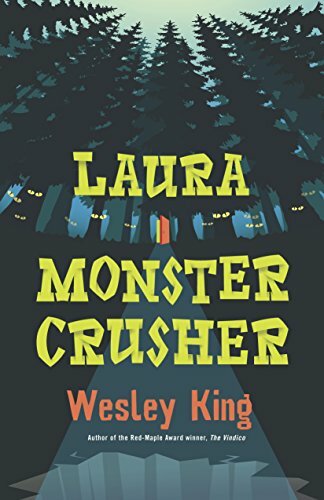 Laura Monster Crusher by Wesley King. Book Review. 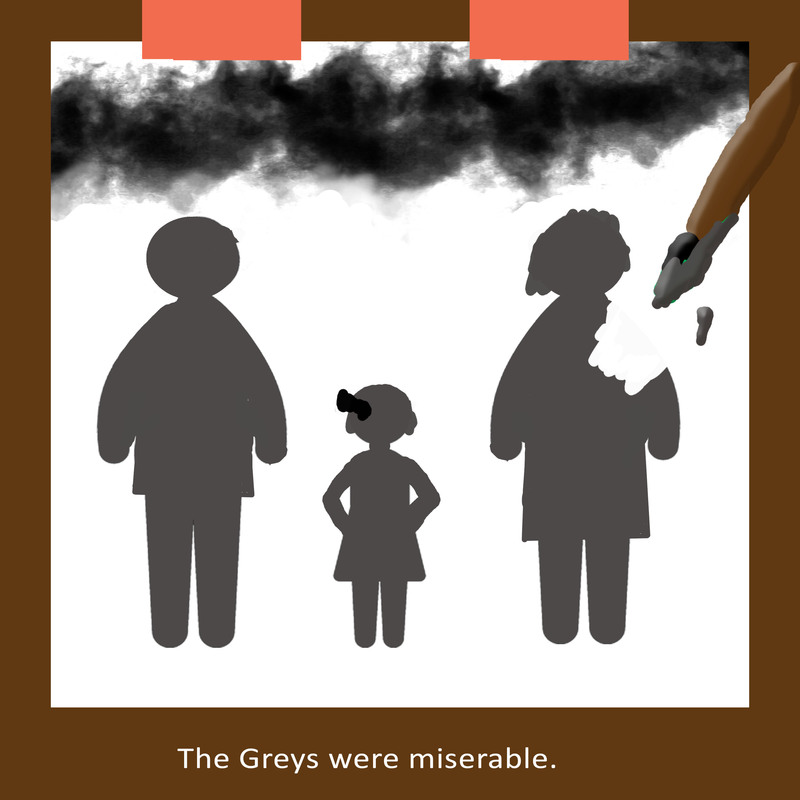 This book is suitable for middle-grade to early young adult. This will be a favorite with readers who love fantasy and unusual female heroes. Laura is a big girl who has been bullied since childhood about her size. Her family moves to a new town and enrolls her in a different school to give her a fresh start. Unfortunately the bullying begins again but this time two other victims befriend her. When Laura fails to stand up for one of them, her new relationship is at risk. But the real challenge is navigating the secret world Laura can only access through a hidden elevator in her closet. She discovers she is destined to be a monster crusher and without her rising to the challenge, her family, friends, and world are in great danger. Laura, however, is neither athletic nor nimble. Night after night, for this is when she can secretly train, Laura fails to acquire the necessary skills of a monster crusher. The danger rises to the point of crisis when her beloved blind little brother is kidnapped by the monsters. Betrayed and vastly outnumbered, Laura must pull off a miracle in order to save her family. The affectionate relationship between Laura and her humorous little brother, her struggle with self-identity and confidence, her desire for friends, and her reluctant courage make her an endearing and interesting hero. An enjoyable read that picks up pace and increases in suspense as it progresses. Although it has a satisfying ending, the danger is still imminent and a sequel or series is possible. Durability four stars The pieces do not stay together very well. For example, whenever you try to put the pet in or on the flowerpot as suggested in the pictures everything around it collapses including the pot. Play quality three and a half stars The pets are adorable as are the little attachments you can put on them. The pictures and the camera are really cool but everything is so small and precariously connected that, whenever you try to play with it, things fall over and fall apart. Safety five stars Definitely for children past the age of putting things in their mouths. Unfortunately, kids tend to bite the pieces apart. Don’t leave them on the floor where you walk. Age interest four stars. My four-year-old granddaughter has been able to put together Legos in the past but this is definitely for five and up. The instruction book did not have enough detail. I found some pieces were challenging especially the light reflector and the photo printer. Small children will be fascinated by the little pieces but frustrated by the fragility. Storage and portability four stars It can all fit back in the box if you take it apart but you’ll have to put an elastic around it. In all likelihood the pieces will most likely mix in with all your other Legos. It’s small enough to fit in your purse if you’re bringing it to a special event to keep a child busy. If you want to keep it all together, I suggest putting the pieces in a ziplock bag before putting them in the box. Price four stars $13.94 USD on Amazon. $12.99 CAD at the lego store. This was affordable and worth the price. 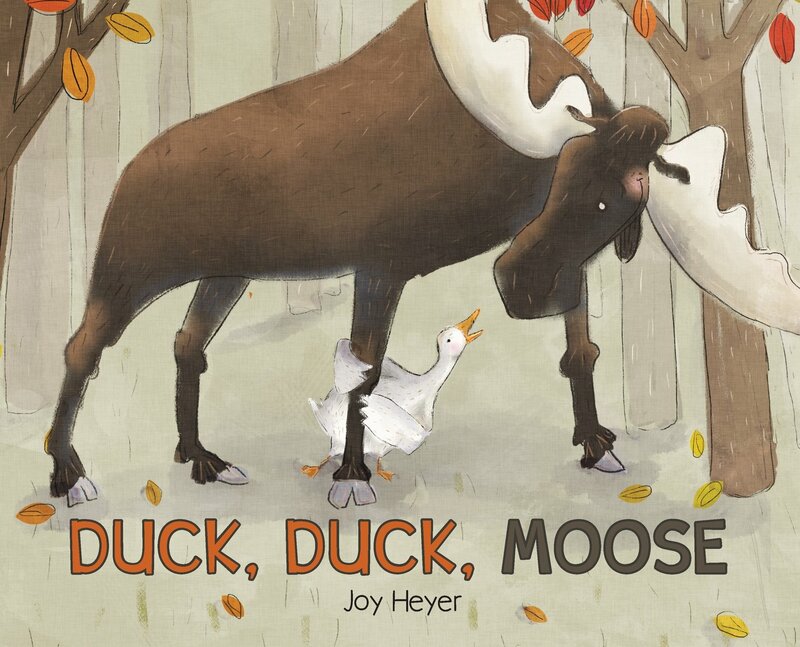 ​ Duck, Duck, Moose by Joy Heyer. Book review. This is a delightful picture book about missing a friend. Duck is lonely because goose has gone away for winter. The other animals try to cheer him up by engaging him in games such as duck, duck, pig. However duck does not find this enjoyable nor does he like playing with the fish, snakes, porcupine, or moose. After feeling dejected for a while, duck decides a different game might work and so all the animals engage in hide and seek. On the last page, goose returns. The book is written in rhyme and it holds quite well throughout. I specially enjoyed the onomatopoeia pages where Jack played with each animal. For example, Ooey, Gooey, Icky, Sticky, Quack, Quack, Quack when he was playing with the pig and the fish sounds were Sploosh, Splash, Blub, Glub. The pictures alternate between full page colour, double page spreads, and single characters on a page but all are sweet, charming watercolors. 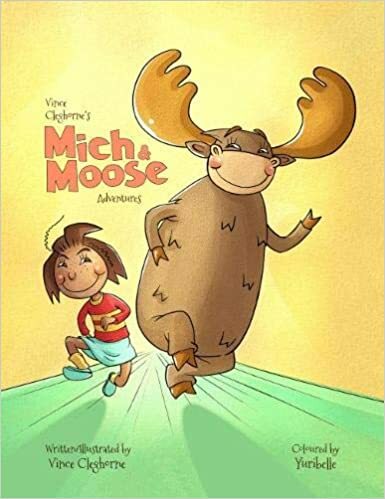 My granddaughter found this book very engaging and loved the humorous bits as well as the emotional moments. Highly recommended. 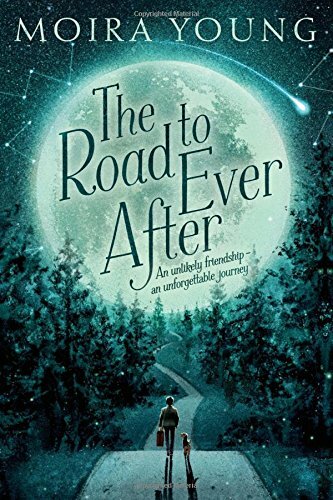 The Road to Ever After by Moira Young. Book Review. This highly unusual book is told from the point of view of a 13-year-old orphaned street boy named Davey David. Lizzie, an elderly woman dubbed as a witch and a child who has the fascinating talent of drawing angels in the dirt go on an incredible journey together. Lizzie, to say the least, has unconventional expectations of a young man who seems destined to fill her last request. During their flight across the country, they encounter an hard collection of situations and people. My favourite was their mad-cap release of doomed turkeys on their way for slaughter. This little scene echos a major theme of breaking free and going beyond death. The writing style and the themes of regret, guilt, and death, however, will interest YA and adults equally. 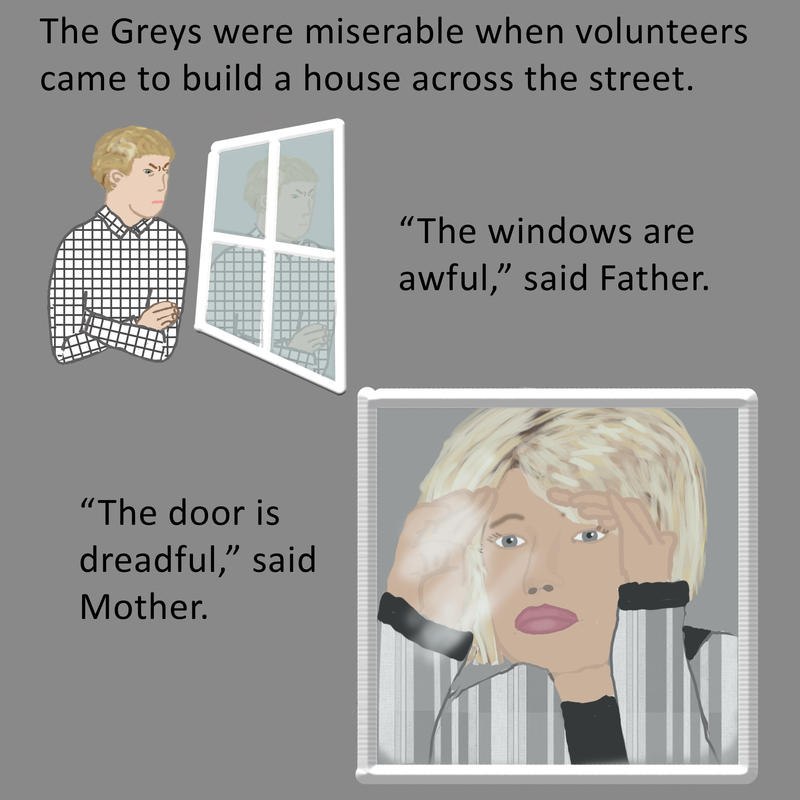 The book can be read at many levels.The story is poignant, sad, mysterious, and funny. The two protagonists are at opposite ends of the age scale. Readers will connect differently and the takeaways will be as varied as their own personal experiences. The tone of this book is somewhat like the Ocean at the End of the Lane and The Midnight Circus but it also has the feel of a buddy road trip. It’s sure to be enjoyed by readers who like books that make them think, feel, and laugh. 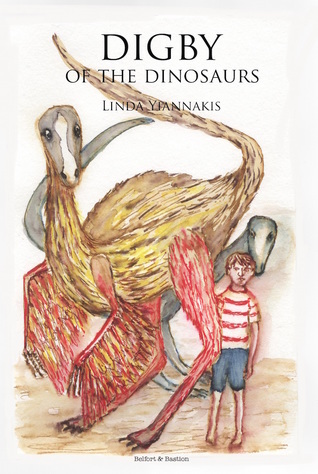 Digby of the Dinosaurs by Linda Yiannakis. Book Review. I don’t think I can actually do this remarkable book justice. Summarizing the plot, a little boy inadvertently finds himself in a secluded world where some species of dinosaurs still exist and have evolved to a higher level. But it is so much more than that. Told mostly from the point of view of Digby, a orphan who feels unloved, the book strikes at the core of personal identity and need for family. The author avoids the trap of info dump even though the culture she is portraying is complex and rich. She allows the background to unfold slowly through the eyes of the little boy who wants, so badly, to fit in. The reader becomes deeply attached to this child and wonders how he is going to possibly survive in this world. The concept of unconditional love is beautifully portrayed by the mother dinosaur who adopts her foster child without giving into any reservations. In many ways, the dinosaur culture is far superior to that of human culture and give us much pause for thought. This would be a discussion stimulating book to share with your child or class. The story is not all serious message though, as there are many humorous moments. The ending is exactly what it needs to be and we are left with a full heart and a satisfied sense of completion. Linda Yannakis shows herself to be a superior writer and storyteller in this masterpiece. Strongly recommended for readers aged nine and up. Why does the frog want the princess to share her dinner and let her sleep over? Maybe she just wants a friend. Can a frog and a princess become BFFs? 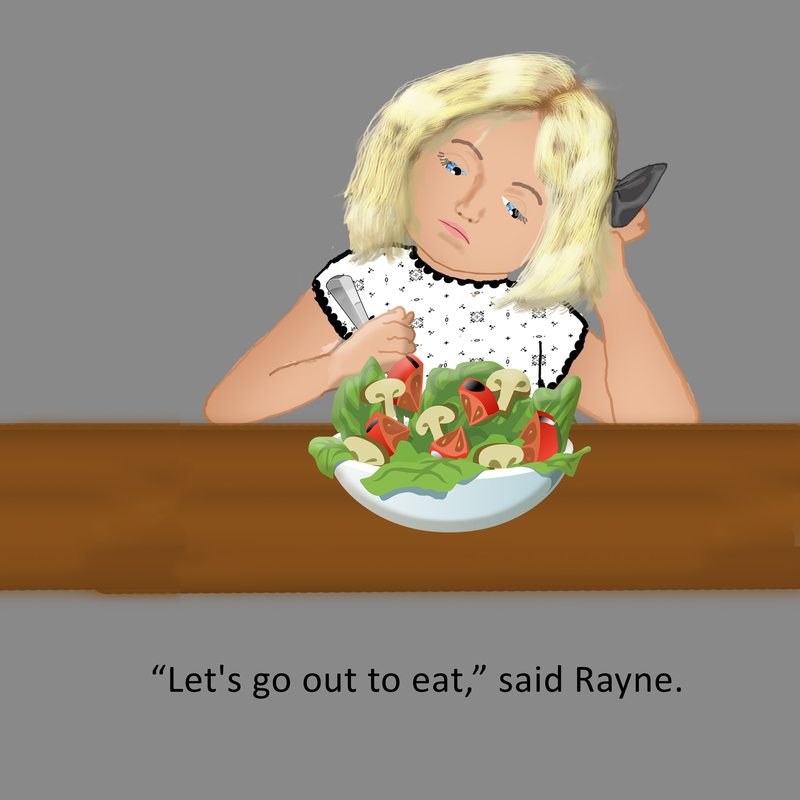 The second edition of Rayne Shines is now published. The characters are people instead of frogs and the text has been tightened. Here are the first few pages. 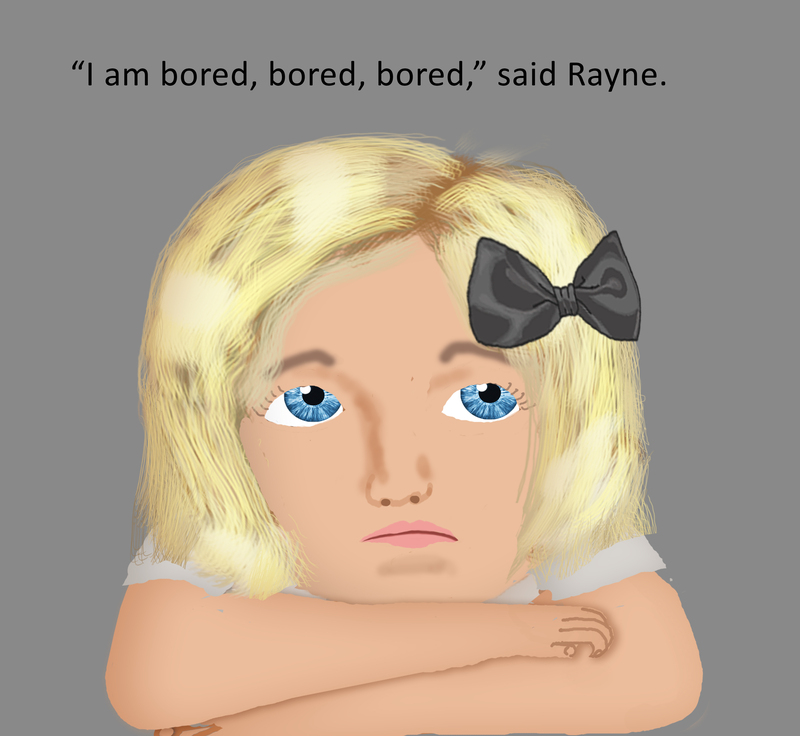 Rayne is bored with life, until a new family moves in next door. Why do they look so happy? 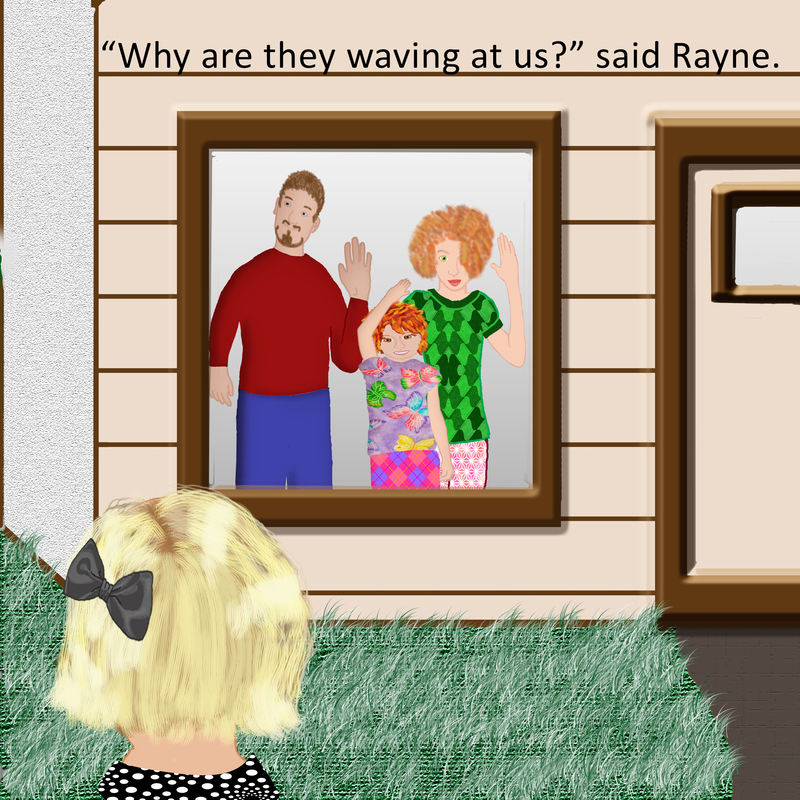 Rayne wants to know their secret. 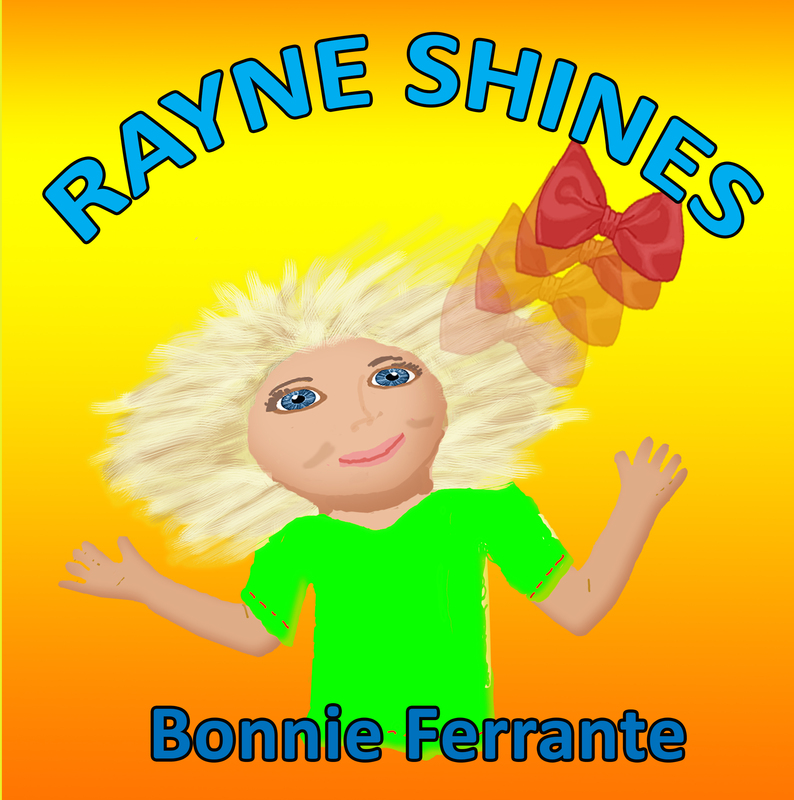 Rayne Shines is a humorous and thought-provoking picture book for ages 5-7. 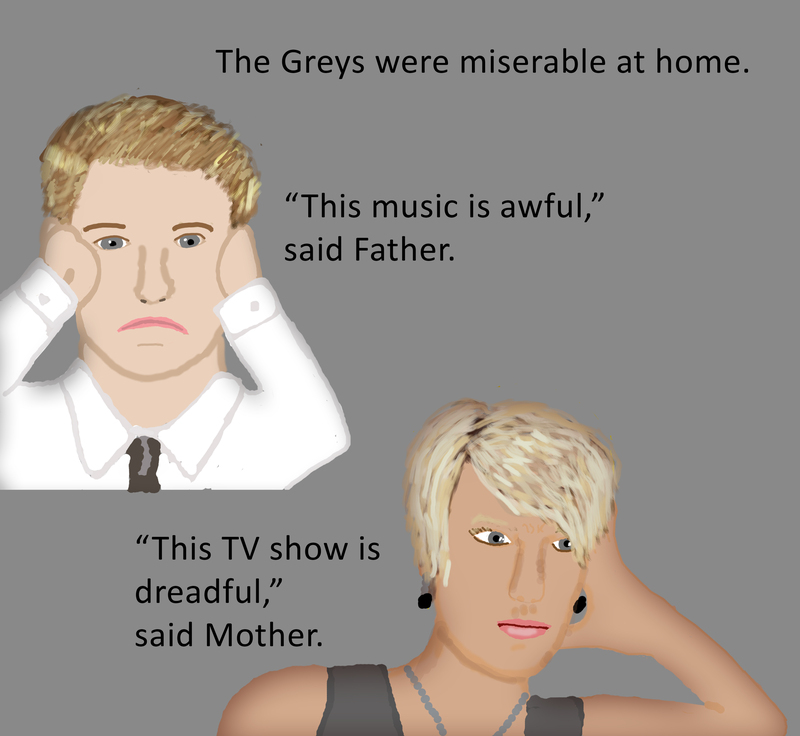 In a subtle and humorous way, the story shows how attitude and perception create either happiness or misery. 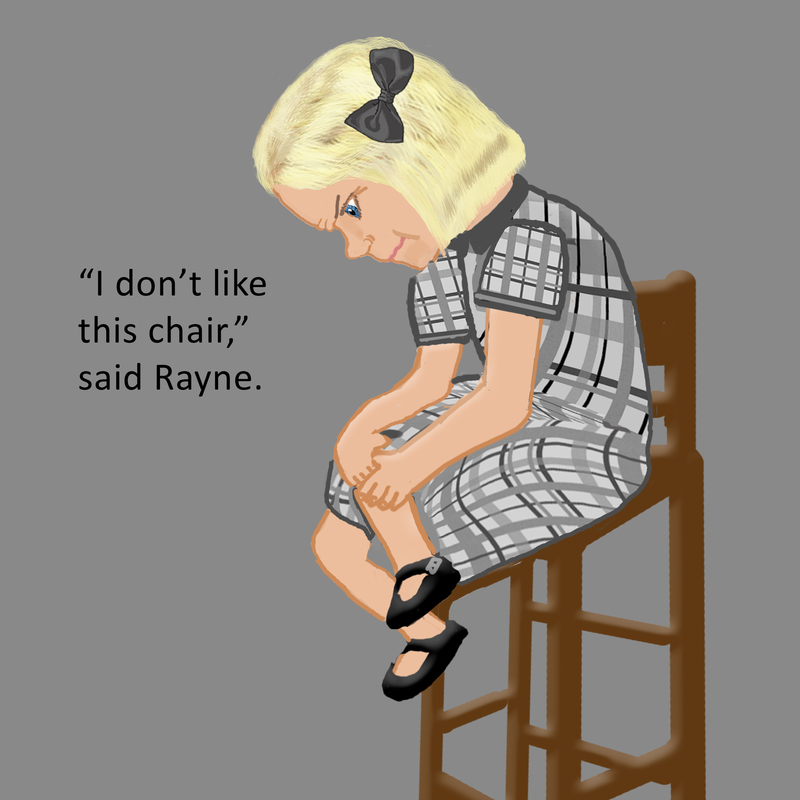 Rayne learns that gratitude, playfulness, optimism, and simplicity bring joy. The Smartest Giant in Town by Julia Donaldson. Illustrated by Axel Scheffler. George is a giant who wears the same pair of old brown sandals in the same old patched up gown. We see from the illustrations that the townsfolk are quite blasé about George and other giants. The story begins with George deciding to spruce up. He buys “a smart shirt, a smart belt, a smart pair of trousers, a smart stripy tie, some smart socks with diamonds up the sides, and a pair of smart shiny shoes.” He declares that he is now the smartest giant in town. He leaves his old clothes behind and heads for home. What a wonderful book to lead into discussion of generosity, compassion, and sharing. This would be a great book to motivate children to participate in charitable events and to give up something so that others might have the necessities of life. It also promotes minimalism and non-attachment. The illustrations are nicely done. The text is threaded throughout the variety of pictures. Some are double spreads, some full-page, and some two or three small illustrations on the page. They are bright, detailed, and colourful. The paper is glossy and good quality which makes the illustrations pop. Highly recommended. Other great books by Julia Donaldson. Click on the covers for more information or to purchase the books.